Sen. Joe Manchin’s (D-WV) office told Breitbart News in an exclusive statement on Wednesday that he supports funding $5 billion for President Donald Trump’s proposed border wall in the fall spending bill. “Senator Manchin supports President Trump’s $5 billion border wall funding. Senator Manchin has already voted for over $40 billion in border security, to fund the wall and secure our borders,” Jonathan Kott, Sen. Manchin’s communications director, told Breitbart News. Sen. Manchin’s office told Breitbart News that the West Virginia Democrat also voted for the Department of Homeland Security’s (DHS) $1.6 billion appropriations bill, which would fund over 65 miles of the border wall. Sen. Manchin has become the second red-state Democrat to support funding President Trump’s border wall in the September spending bill, following on Sen. Joe Donnelly. Trump has previously threatened to shut down the government before or after the 2018 midterm elections to push Congress to fund his promised border wall. Now, given Sens. Manchin and Donnelly’s support, Trump has more leverage to push Democrats and Republican leadership to partially fund his proposed border wall. Senate Majority Leader Mitch McConnell (R-KY) and House Speaker Paul Ryan have signaled that they would prefer a shutdown fight after the 2018 midterm elections. However, Republicans’ momentum on wall funding may push the fight to before rather than after the pivotal 2018 midterm elections. Democrats anticipate taking back the House majority after the November elections, which would torpedo any chance of funding Trump’s proposed border wall. Sen. Joe Donnelly (D-IN) announced on Wednesday that he will support up to $5 billion for Trump’s wall, feeling pressure from Indiana Senate Republican candidate Mike Braun. Similar to Sen. Donnelly, Manchin faces a tough race between himself and West Virginia Senate Republican candidate Attorney General Patrick Morrisey. 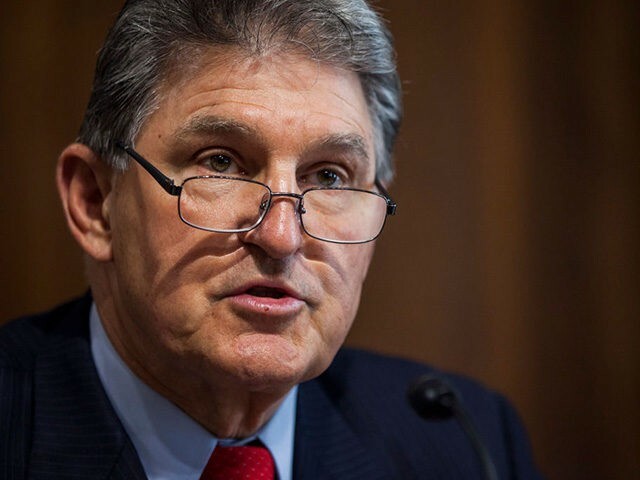 For months, Morrisey has attacked Manchin over previous statements the West Virginia Democrat made in which he opposed Trump’s border wall and supported legislation that would grant amnesty to Deferred Action for Childhood Arrivals (DACA) illegal aliens. Morrisey’s attacks have put increasing pressure on Manchin to support significant border wall funding. Some polls over the last few months have had Manchin leading by double digits, while other have had Morrisey beating Sen. Manchin. When it comes to keeping our nation safe and our borders secure, Joe Manchin has sided with Hillary Clinton and the liberal elites in Washington. It is time to fully fund President Trump’s wall because we cannot be a secure and sovereign nation without strong borders. Sen. Manchin has rejected Democratic leadership in the past and backed President Trump’s agenda. Sen. Manchin told Senate Minority Leader Chuck Schumer (D-NY) to “kiss my you-know-what” on Schumer’s efforts to whip votes against confirming Trump’s Supreme Court Justice nominee Judge Brett Kavanaugh. The West Virginia Democrat told Breitbart News in April that he will vote to confirm Ric Grenell as the next U.S. ambassador to Germany, which ensured the confirmation of the highest-ranking ever openly gay person to serve in the United States government. Sen. Manchin told Breitbart News in March that he was “extremely happy” with President Trump’s tariffs on foreign steel and aluminum. Now that Sens. Manchin and Donnelly support funding the border wall, there remains increased pressure for other red-state Democrats such as Sens. Jon Tester (D-MT), Claire McCaskill (D-MO), Heidi Heitkamp (D-ND), and Bill Nelson (D-FL) to support the wall. Sens. Heitkamp and Tester told Politico on Wednesday that they support increased border security, but they have cautioned that they worry about the cost to the American taxpayer. President Trump has continued to signal that he will shut down the government should Congress not grant him his border wall funding. Trump said that he would “personally prefer” not to have the shutdown battle before the elections. Trump said last week at a rally in Pennsylvania that he wants border wall funding or he will shut down the government.